To this very day of writing, Fabricio Coloccini remains Mike Ashley’s most expensive signing. The club parted with £10.3m for the composed Argentine and just six months later it looked like he had the makings of another Jean Alain-Boumsong or Titus Bramble. 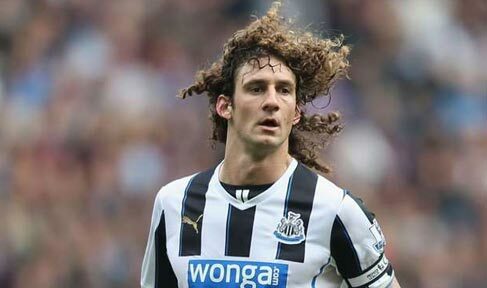 Coloccini’s lack of pace saw him vulnerable in his debut season and as we all know, the club eventually succumbed to dreaded relegation in 2009. Despite that, down to a mixture of the club being unable to sell him and Fabricio’s sense of underachievement the bushy haired South American stayed with the club in the Championship. Promotion ensued under Chris Hughton in historic fashion and before we knew it, Coloccini was an integral defender in the Newcastle United side. Thankfully very little has changed, and although the big man is currently recovering from a nasty ligament injury, he has been his usually self up until the defeat away at West Brom where he suffered the blow. Story so far: The thing with Coloccini is that it has come to stage where we expect him to be as classy and consistent as ever, and we haven’t been disappointed so far this season. His general composure on the ball and the way in which he reads the game is an absolute credit to the man, and he is an ideal role model for young defenders that may not be blessed with the height or pace. He has helped command the defence and in turn, ease the likes of Mike Williamson and Mapou Yanga-Mbiwa into their duties. Both Willo and Mapou are calmer on the ball, and despite the speculation surrounding Coloccini’s future, he has remained an ever-consistent, classy performer. Moment of the Season: His performance against Crystal Palace at Selhurst Park. Colo marshalled the back four and although the opposition might not have threatened Tim Krul’s goal, much of this was down to the defending of the 31 year old. He showed his usual poise & control, and plenty of vision as he fed Vurnon Anita in midfield to push further forward. So… there is my quick review of club captain Fabricio Coloccini so far this season. This ‘Midterm Report’ series will continue tomorrow when I take a look at Davide Santon and Vurnon Anita. What are your thoughts on the performances of Coloccini this season? Comments in the section provided below, and make sure you give me a follow on Twitter @KevinDoocey and like Tyne Time’s Facebook page!